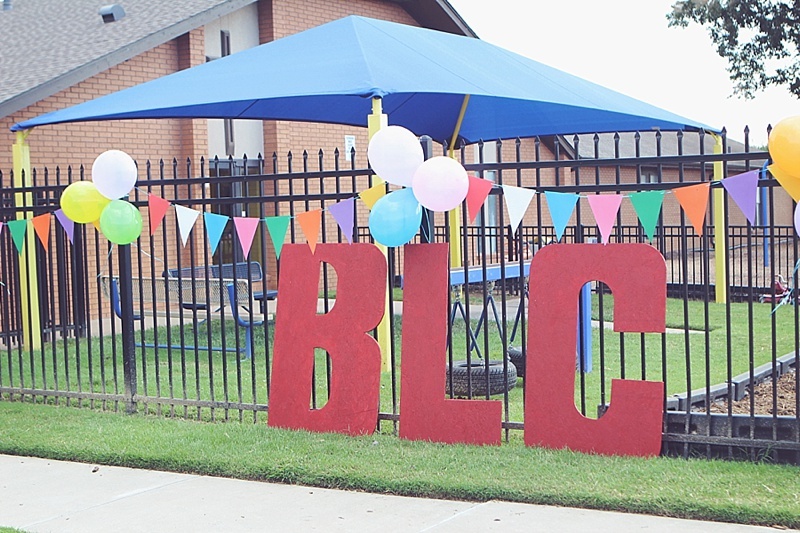 BLC is the preschool that our kids attend. We LOVE it! 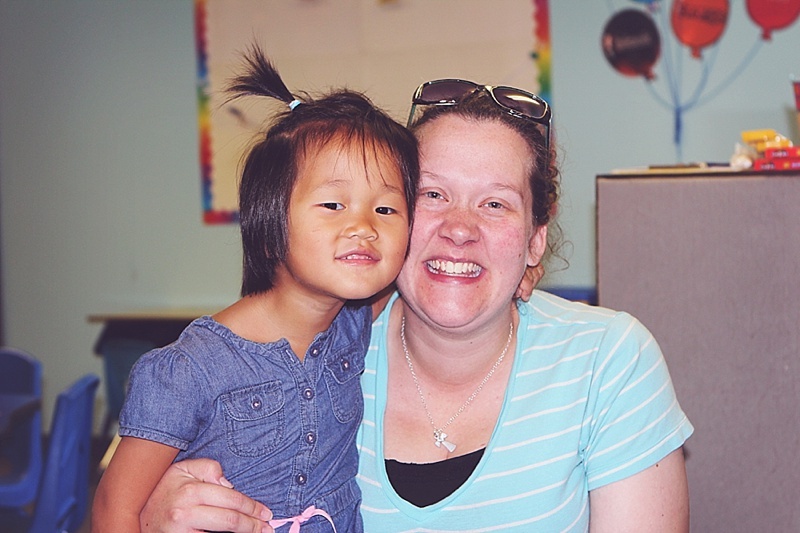 Teachers have education degrees and really love teaching this age and our kids feel loved on and truly enjoy going to school. 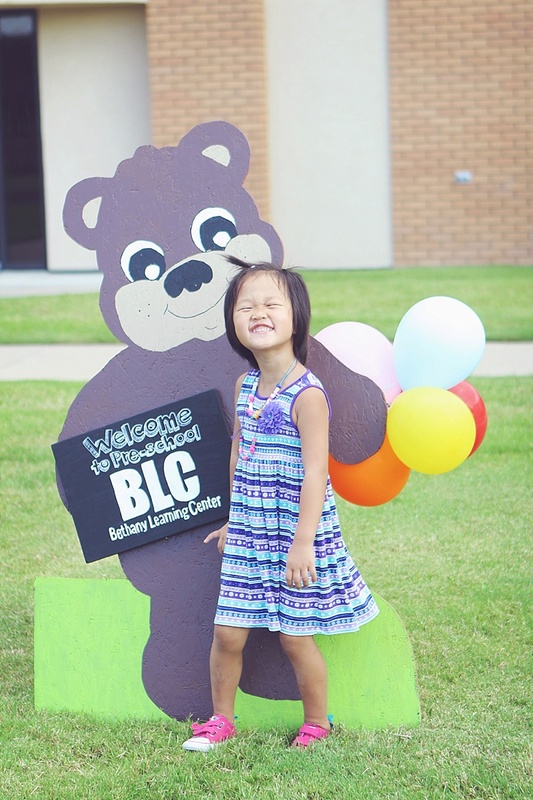 Savannah and Jack have moved on to public school and their transition was seamless which I attribute in large part to Bethany Learning Center. 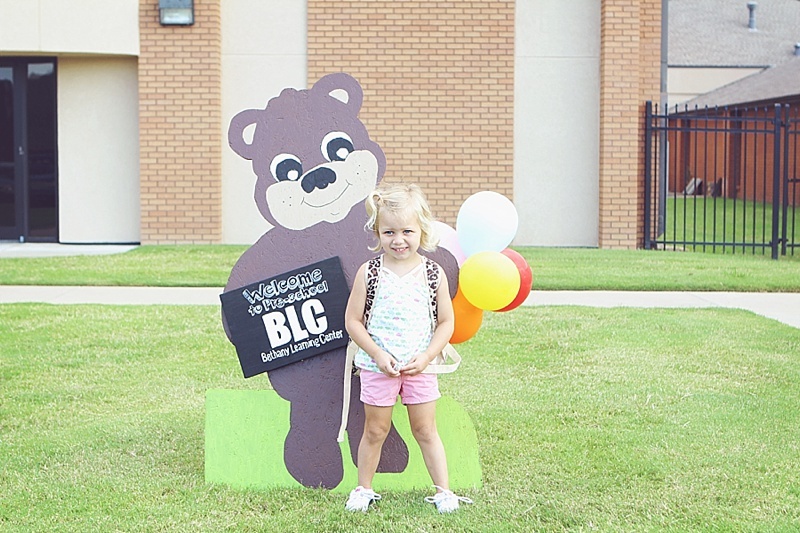 This year my sister (who also has kids who go to BLC) and I wanted to do something a little extra special for the BLC, a non-official PTA of sorts. We made some banners to hang on the fence and helped Ms. Cara (the director) get a Welcome Back to School teddy bear sign ready for the kids to take pictures next to on the first day! Just imagine bringing a little one year old for their first day then four years later bringing your 4 year old and taking the same picture!. The height and growth change would be amazing! 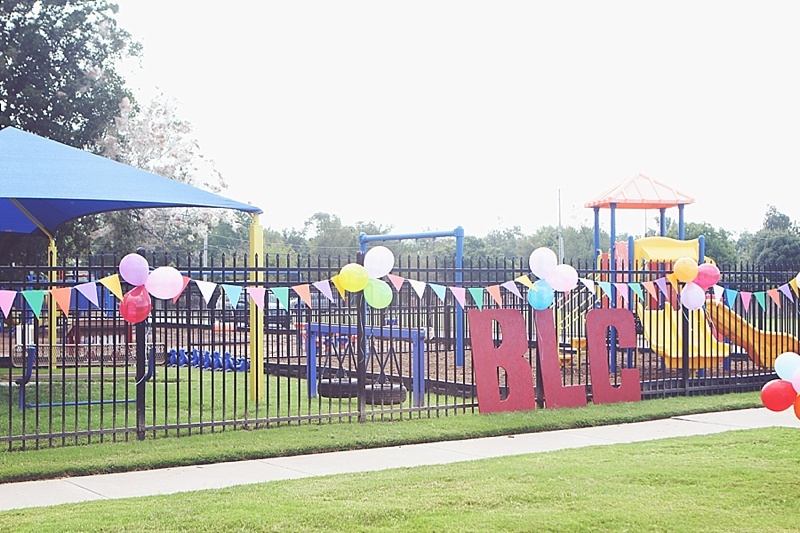 One other thing we made is BLC letters to hang on the fence! 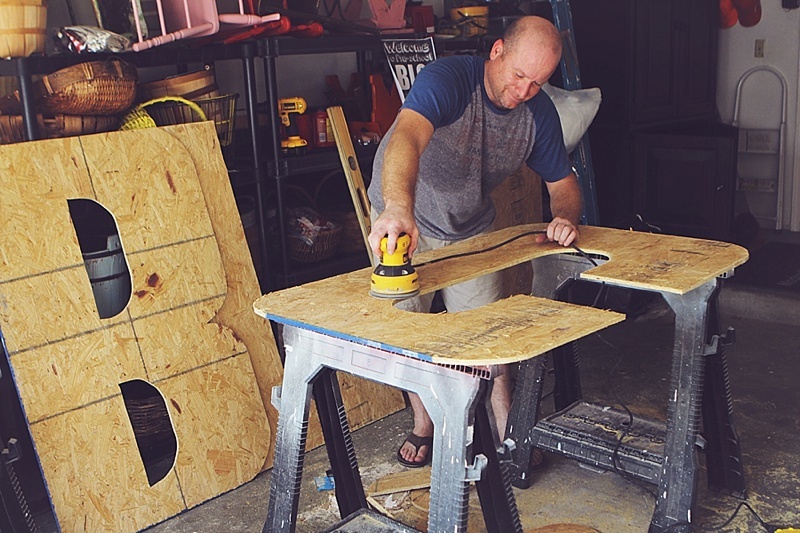 I recruited Grant to help me cut the letters out of 4 ft chipboard. 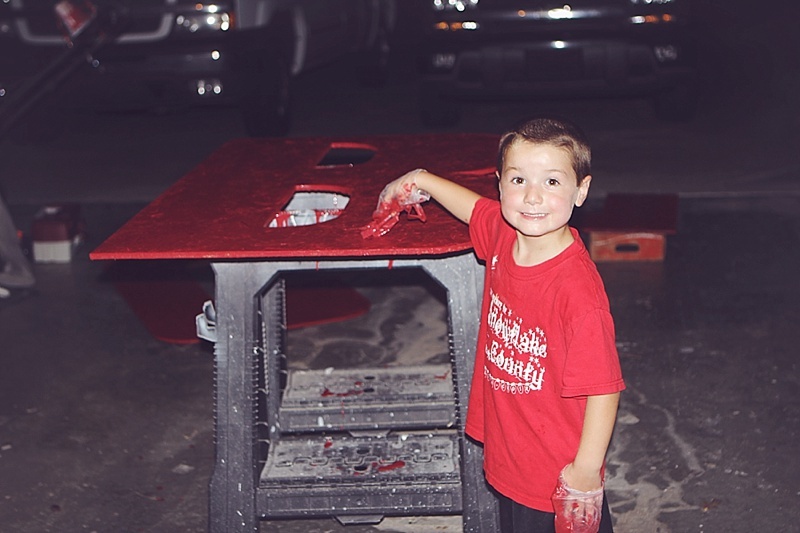 Then a quick paint job in red and they are ready for school!